Event Let it Wag is an app that connects all the Stakeholders in the Animal Industry to save Animals in real-time. In other words its a technology enabled animal rescue app. 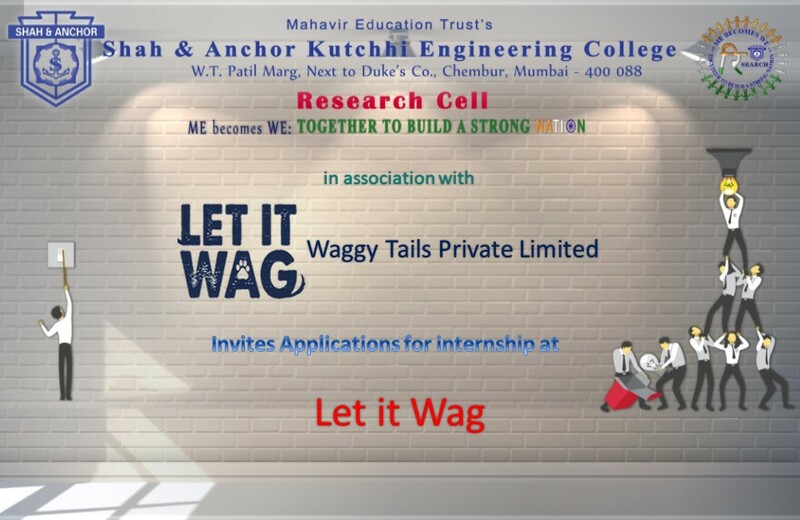 SAKEC Research Cell invites application for internship at Waggy Tails Private Limited for the app Let it Wag.